FORMER soldier and current employee of United States security contractor Triple Canopy Incorporated (TCI), Mark Fisher, who was detained by the Iraqi military for 18 days is warning locals of the dangers associated with employment in the trouble-stricken country. “I am never going back there and I urge anyone considering a job as a security contractor to think twice because no amount of money is worth what me and my men went through. “TCI did not contact my wife to inform her of what had happened. “However, the reality was that we were fed food thrown on the floor and despite it being winter, there were no mattresses, pillows or blankets and at no time were we visited by anyone from the company,” he shared. “The situation was such that we did not know what was going to happen at any given time and we all had trouble sleeping,” recalled Mr Fisher. The former Republic of Fiji Military Forces sergeant was heading a team of seven men, which included Americans and Iraqi nationals ù clearing equipment from forward operating bases (FOB) in Iraq when they were detained by Iraqi military forces. Abandoned by their employer, the team’s release was finally secured on December 27 by US Congressman Peter King. “At that point I thought this was it. God, prayers and thoughts of my wife and kids kept me going,” he said. RESTON, Va., Dec. 6, 2011 /PRNewswire via COMTEX/ — Triple Canopy, Inc., a leading provider of security and mission support services, announced today the appointment of Harold “Jay” Arthur Christy, Jr. as Chief Operating Officer (COO), effective Dec. 27. Christy will be responsible for directing global operations and overseeing daily activities at Triple Canopy. He is taking over the position from Kelvin Kai, who has made the decision to step down in order to spend more time with his family. 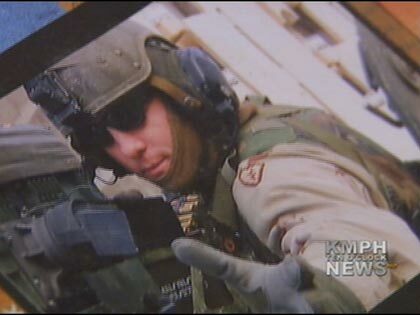 A Visalia family is mourning the loss of their son in Iraq. 29-year-old Sean Ferguson received two Purple Hearts while serving our country. 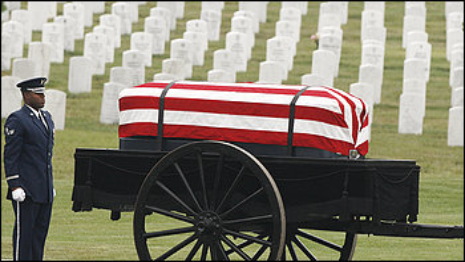 He joined the U.S. Army in August 2001 and retired eight years later as a Staff Sergeant after he was hurt in combat. He returned to Baghdad to work for Triple Canopy, a private contractor that provides security and mission support services to government agencies and other organizations. In 2005, he got a visit from Defense Secretary Donald Rumsfeld at a combat surgical hospital in northern Iraq after he was hit by a sniper the day before. Sean was born in San Diego on July 7, 1982. He was a 2001 graduate of Mt. Whitney High School in Visalia. The Ferguson family was notified by the U.S. Consul of Sean’s death. According to a statement obtained by KMPH News, Sean died of natural causes. A memorial service will be held at the Church of Jesus Christ of Latter-day Saints chapel located at the corner of Caldwell Ave. and Chinowth St. in Visalia on Saturday, November 19, at 10 a.m.
Jacob Washbourne sued Fainaru, Da Capo Press and The Perseus Books Group, claiming the book “Big Boy Rules: America’s Mercenaries Fighting in Iraq,” defamed him, invaded his privacy, depicted him in false light, and caused emotional distress. RESTON, Va., Sept. 14, 2011 — /PRNewswire/ — Triple Canopy, Inc., a global provider of security and mission support services, announced today that Mark DeWitt, vice president of government and regulatory affairs, will speak at this year’s ASIS International 57th Annual Seminar and Exhibits, scheduled for Sept. 19 to 22 at the Orlando County Convention Center in Orlando, Fla.
DeWitt will present a session on what the International Code of Conduct (ICoC) for Private Security Contractors signifies for security directors worldwide, along with the related management system standard underdevelopment by ASIS. Established in November 2010, the ICoC aims to set global standards for the private security industry and establish independent mechanisms for effective governance and oversight. In his presentation, DeWitt will discuss how the ICoC and the ASIS-developed management standard will translate into greater confidence in the industry as a whole. “The Code allows security providers to deliver their services in a more transparent manner, and as a result, will help instill trust and create a better understanding of the way in which security services are provided,” explained DeWitt. THE Afghan government has accused several prominent private security companies, including some that work with the US government, of committing ”major offences” – a move that US officials fear could hasten their departure. A list compiled by Afghan officials cites 16 companies, including several US and British firms, for unspecified serious violations and seven others for having links to high-ranking Afghan officials. A decision to ban the major violators would affect companies that provide about 800 guards for the US Agency for International Development and about 3000 who work on military construction projects. Among those listed as major offenders are Triple Canopy, based in Virginia, Washington-based Blue Hackle, and British company G4S, the parent company of ArmorGroup North America, which provides security for the US embassy in Kabul. Also listed are British companies Global Strategies Group, which guards Kabul airport, as well as Control Risks and Aegis. The list included nine companies deemed ”medium” offenders, 11 with ”minor” offences and nine, including Xe Services, formerly known as Blackwater, with no offences detected. Afghan President Hamid Karzai has yet to approve the list or indicate whether these companies face expulsion. A senior Afghan official said no decision had been made, and suggested many companies were on the list for tax evasion. A NATO official said G4S owed the Afghan government $US8 million in taxes. The company declined to comment. For the past six months, Mr Karzai has sought to push out the companies and replace them with government guards. US officials believed they had reached a compromise in December that would protect key operations and give the companies more time before they would have to depart. ”We thought it was pretty much on ice. All of a sudden, it isn’t any more,” the senior US official said. USAID has put several new programs on hold while it waits for a resolution to the issue. GENEVA — Officials said on Tuesday a landmark US and British-backed code of conduct signed by private security operators, including some operating in Iraq and Afghanistan, would stop the firms being used as mercenaries. Britain announced at the signing that it intended to make the code, which is aimed at preventing abuse and reining in excess violence in lawless conflict zones, compulsory for security providers it contracts. About 58 companies, including US firms Triple Canopy, Xe Services — formerly Blackwater — and Britain’s G4 Security signed up, while the code has the backing of 35 countries, said Swiss officials who brokered the deal. “We are turning the page,” Swiss state secretary for foreign affairs Peter Maurer told journalists. “You have to choose whether you are going to be a private security contractor or engaging in warfare,” he added, underlining that a pledge to restrict firearms to self defence only would rule out offensive operations or mercenaries. “You are not allowed to be a mercenary and take part” in the international code, said Andrew Clapham, director of the Geneva academy of international humanitarian law, who helped draw it up. The 15-page code, which took 14 months to negotiate, emerged amid concern about the “exponential growth” of contractors providing security in conflict areas and their role in guarding embassies, officials, company executives and aid agencies. The UN working group on mercenaries this year pressed for stronger binding regulation of the private military security industry. Diplomats and company executives argued that the voluntary code would fill a gap by setting a minimum standard and marked a step towards greater accountability. “This code has the potential to be a monumental step forward,” said Devon Chaffee of campaign group Human Rights First. Michael Clarke, director of public affairs for G4S, which generates 11 billion dollars a year, acknowledged that security providers “didn’t always get it right” in highly insecure areas where staff worked under threat. “Local institutions may not be strong enough to ensure that people operating there, including our people, are properly held to account. That is, as we see it, the rationale for this code,” he explained. Blackwater became notorious in 2007 when its guards protecting a convoy opened fire in a busy Baghdad square, killing as many as 17 civilians. Two former security guards also went on trial in the United States in September accused of the murder of two Afghan citizens in a 2009 shooting. Afghanistan’s government has ordered private security firms to disband and leave the country amid anger among ordinary Afghans who regard them as private militias acting above the law. “We will only give contracts to companies that can show they meet the minimum standard we have set for this industry,” he added. The companies agreed to standards in recruitment, vetting personnel, training, control mechanisms, compliance with local and international laws and protection of human rights. The code includes limits on the use of force and an assurance that staff cannot invoke contractual obligations or “superior orders” in a conflict zone to justify crimes, killings, torture, kidnappings, detentions. 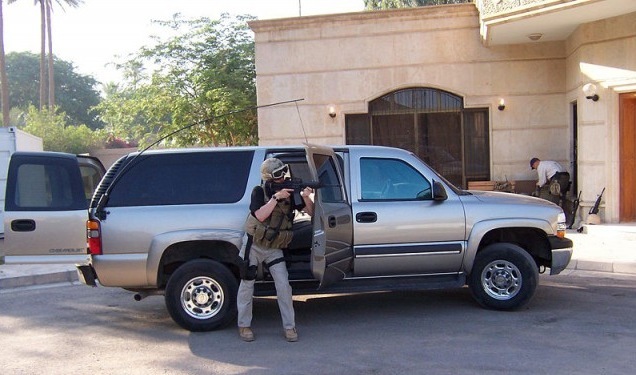 The Worldwide Protective Services (WPS) program provides comprehensive protective security services to support U.S. Department of State operations around the world. The U.S. Department of State (DOS) made the following eight base contract awards for the Bureau of Diplomatic Security – Worldwide Protective Services (WPS) Program resulting from solicitation: SAQMMA10R0005 (-a) on September 29, 2010. The maximum program value is $10,000,000,000.00 USD. The maximum value is cumulative and includes all work performed by all contractors during the WPS program period of performance, including all option periods. The base contracts include a one year base period of performance with four one year option periods. DOS included the minimum guarantee of $5,000.00 for each WPS contractor with each base contract award. Please see section M of solicitation: SAQMMA10R0005 (-a) for more information on the evaluation criteria that DOS used to select the firms listed below for base contract awards. SAQMMA10D0096 : EOD Technology, Inc.
SAQMMA10D0097 : Global Strategies Group (Integrated Security), Inc.
SAQMMA10D0104 : Triple Canopy, Inc.
Debbie Crawford was playing with her grandson at her Battle Ground home two years ago when she heard a news report on a Green Beret who died in Baghdad. The water pump in his Army shower was not properly grounded, and when he turned the faucet, a jolt of electricity killed him. Five weeks later, after a Senate staffer saw her post, Crawford testified before Congress to poor management and poor workmanship by Kellogg, Brown & Root in Iraq, including subcontracting electrical work to locals not skilled to U.S. standards and failing to check electricians credentials. Two years later, the blog she started that 2008 day —mssparky.com – is the largest online catalog of news articles, opinion, leaks and lawsuits regarding war contractors. The site has drawn more than 10.8 million page hits since Jan. 1. When Oregon veterans of the Iraq war appear in federal court in Portland today in their chemical-exposure lawsuit against KBR, they join a wide group of plaintiffs suing KBR — over electrocutions, burn pits and sexual assault. Much of what connects them all is Ms. Sparky. Since the wars in Afghanistan and Iraq began, the federal government has paid private companies $150 billion to do what the military once did — support daily life for the troops. KBR has been the single largest provider of meals, housing, recreation, mail delivery, laundry and fuel. Today, Magistrate Judge Paul Papak will hear arguments on whether an Oregon Army National Guard veterans’ case against KBR should go forward in U.S. District Court in Oregon. Twenty-six Oregon vets — and soldiers in three other states — have sued, saying they were sickened by hexavalent chromium, a cancer-causing chemical, as they guarded KBR employees working to restore Iraqi oil in 2003. Crawford has assembled an online library about the suits. To meet Ms. Sparky — the slang for female electrician — drive past Vancouver’s suburban blocks to the hobby farms beneath Mount St. Helen. The 49-year-old wife, grandmother and blogger answers the door in black jeans and a pink plaid cotton top. She homeschools her 7-year-old grandson and takes Tae Kwon Do lessons with him. Crawford says she is not a disgruntled KBR employee. The journeyman electrician says she went to Iraq four years ago out of patriotism and the same spirit of adventure that took her to contract jobs in Antarctica and China. She did not realize until she returned that problems she saw in Iraq were systemic, including what she saw as poor management and a lack of government oversight. Growing up near the Hanford Nuclear Reservation, Crawford applied for an electrical apprenticeship after graduating Benton City High and became the first female journeyman out of IBEW Local 112 in Kennewick. She met her husband, Cal Crawford, at Hanford and talked him into moving to Seaside, then to Portland where she is a member of Local 48. Crawford liked the math and technology in being an electrician and working with people who can visualize a problem and design solutions. She also liked that she could get a job anywhere. She spent 10 months in Antarctica, then traveled the country with her husband performing maintenance on nuclear plants. They signed on in 2004 for Iraq. At $14.90 an hour, the salary was less than half what she made at home, but she felt she could contribute to the war effort. “I thought I was doing the right thing,” Crawford says. The couple were housed at different camps. Both threw themselves into their work, surviving rocket and mortar attacks, heat and family disapproval. (Both of Crawford’s parents died while she was overseas and her only daughter Tiffany went in prison for burglary.) Cal returned home after a year, but Crawford reupped for a second, with a raise and management opportunities. She returned to the Northwest July 28, 2008. She was blogging about her travels and struggles with her daughter, when she heard the news report about Staff Sgt. Ryan Maseth’s death. Since then, Crawford’s writing has almost exclusively focused on war contractors. Crawford has expanded her scrutiny to include contractors DynCorp, Fluor and Triple Canopy. She works without pay but takes donations and advertisements on her website. She has had to bring on another person to handle the information flowing through the site. Still, she says the biggest payoff has been meeting all the special people affected by their service or work in the war zones. Jill Wilkins was a young Florida widow desperate for information after her Air Force reservist husband, a registered nurse, died of a brain tumor in 2008. Wilkins found Ms. Sparky and within weeks of posting her questions about her husband’s exposure to burn pits in Iraq on mssparky.com, Wilkins was featured on CNN, found other plaintiffs suing over the use of burn pits and was awarded her husband’s veterans benefits. “It was a lifeline,” says Wilkins, who was so inspired she started her own Facebook site on burn pits. Crawford says what she wants most is for the federal government to police war contractors.